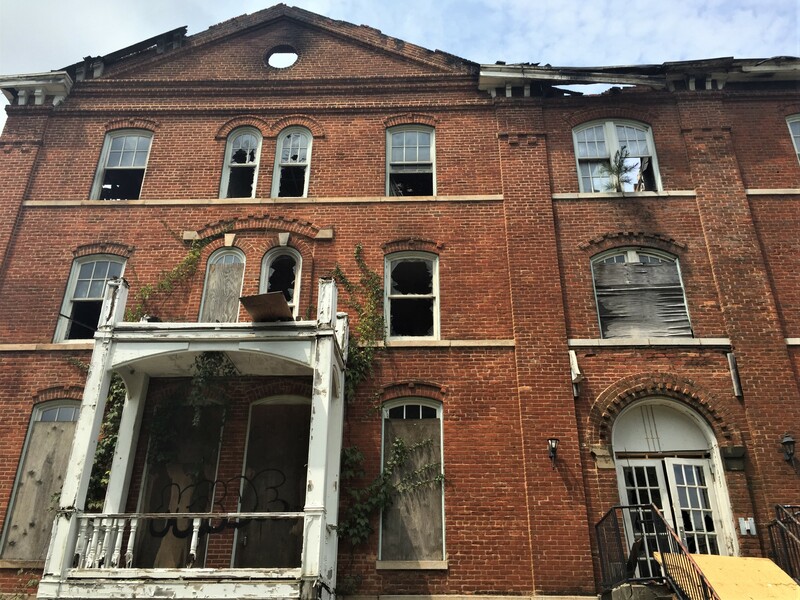 Gaines Hall after the devastating August 2015 fire. Built in 1869 by architect William Parkins, Gaines Hall initially opened as North Hall – and stood as Atlanta University’s initial original building. Later becoming a dormitory for Morris Brown, funding for the three-story brick structure came from the Freedmen’s Bureau and American Missionary Association. It holds ties to historic figures such as WEB DuBois, a professor at Atlanta University, and Hosea Williams, an alumnus. A fire in mid-August 2015 threatened to raze the building completely. In October 2017, a court ruling returned the property to Clark Atlanta University. In terms of restoration and preservation purposes, future of the building is still unknown.